This workshop is designed to help both partners build confidence for the big day. You’ll take in lots of relaxation, comfort measures, massage, imagery for labor, as well as communication skills for labor. This workshop does not replace a childbirth education course. The beautiful workbook that comes with this workshop is one you’ll want to spend time with for the duration of your pregnancy! A $50 non-refundable deposit to hold your spot in class & order your materials is required upon registration. $50 balance due at workshop. 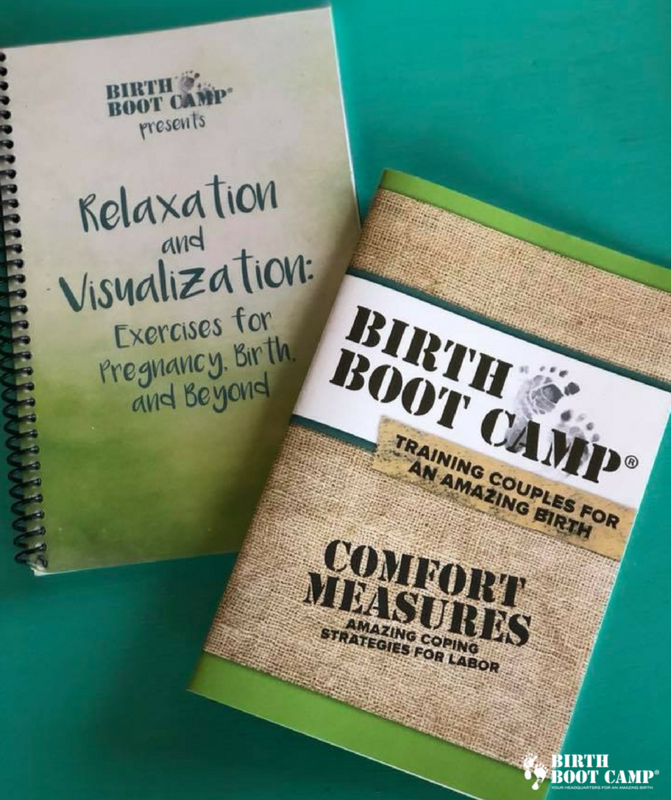 Birth Boot Camp Comfort Measures Workbook, a 32-page companion guide that includes supplemental information and things to discuss and work on together at home.